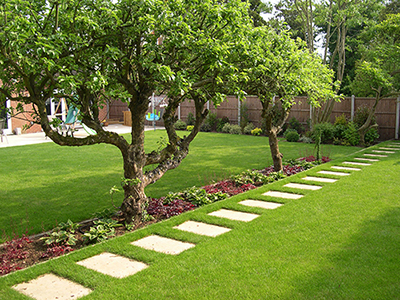 Welcome to the Andy Gardner Tree Care and Landscaping website, We have been offering our services in the Abbots Langley region for over 7 years now and have many satisfied customers within the WD5 postcode. We take on every aspect of tree work including tree removal, pruning, stump removal and planting. 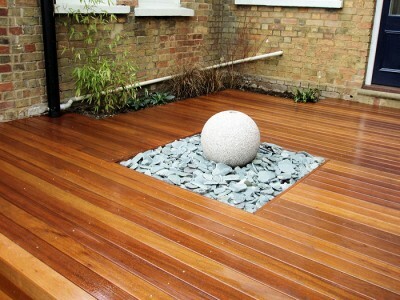 We operate in various environments from tiny inner-city gardens with limited access, to estate work, or commercial work on building sites and local authority work. Additionally we work frequently in conservation areas and on trees covered by a Tree Preservation Order (TPO). Planning approval is needed from the council in order to implement work in conservation areas and on trees protected by a TPO. Gaining authorisation is a service we can also offer you. 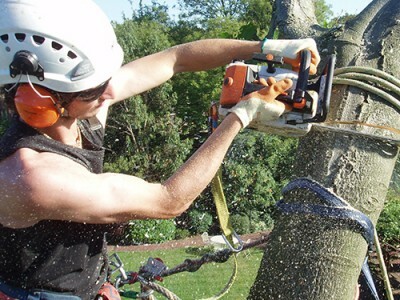 All of our tree work is carried out in a safe manner using current tree care techniques. Comprehensive risk assessments are completed before all works commencing to reduce any possible risks to an acceptable level. All waste material from tree work is recycled and turned into woodchip, firewood, or exclusive pieces of made to order furniture. To find out more about this please visit our recycled products page. You can be very much involved with the landscape design or everything can be left with us to transform your garden, no matter how vast or small. By calling on our expertise and knowledge we can design and build your perfect garden which reflects your personality and lifestyle. Once the garden design has been decided the construction procedure can begin. We put together gardens for a range of properties varying in size and locality and all projects are executed efficiently and with as little disturbance to our clients as possible. A substantial and loyal customer base bears testimony to the exceptionally high standards of work offered by our workforce and we are proud of our reputation for providing a top class tree surgeon or landscaping service in Abbots Langley so please phone us today on 01438 860 368 for all your tree care and landscaping needs.